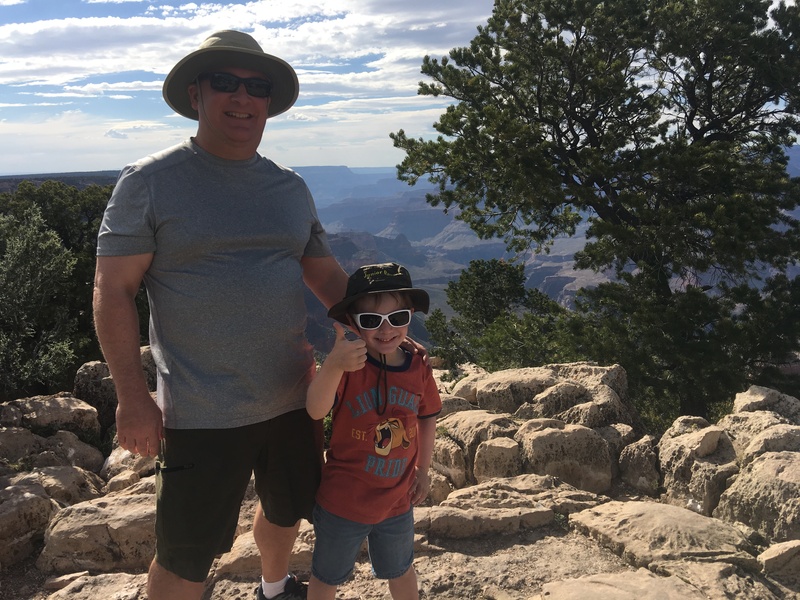 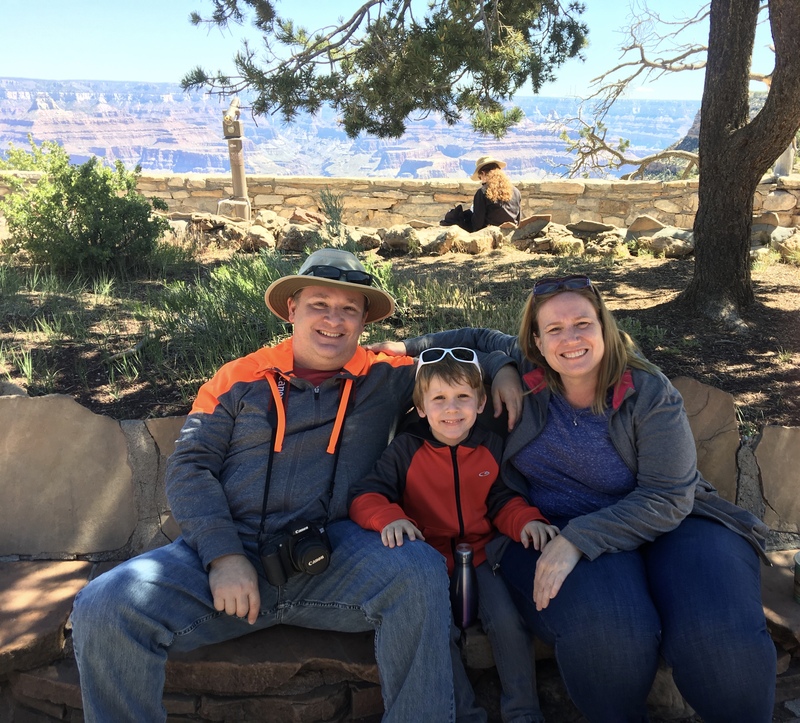 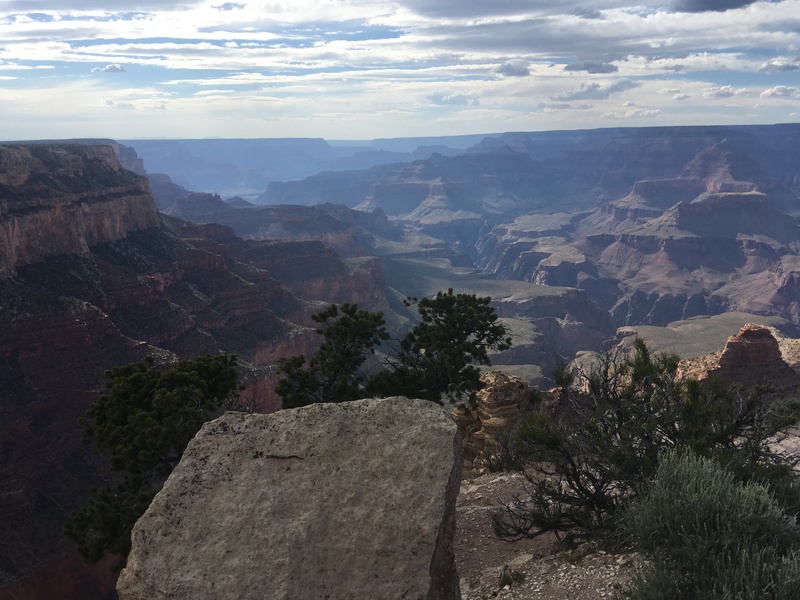 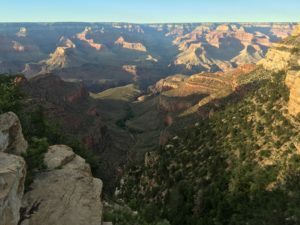 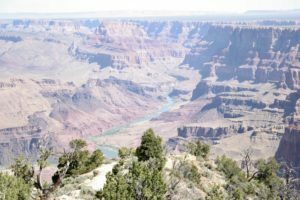 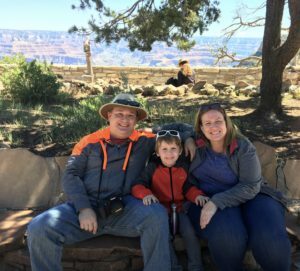 It took a while, but I combed through all the pictures of our stay at the Grand Canyon and picked the ones that I thought came out best. 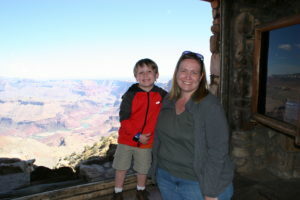 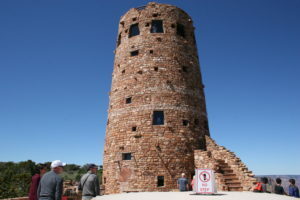 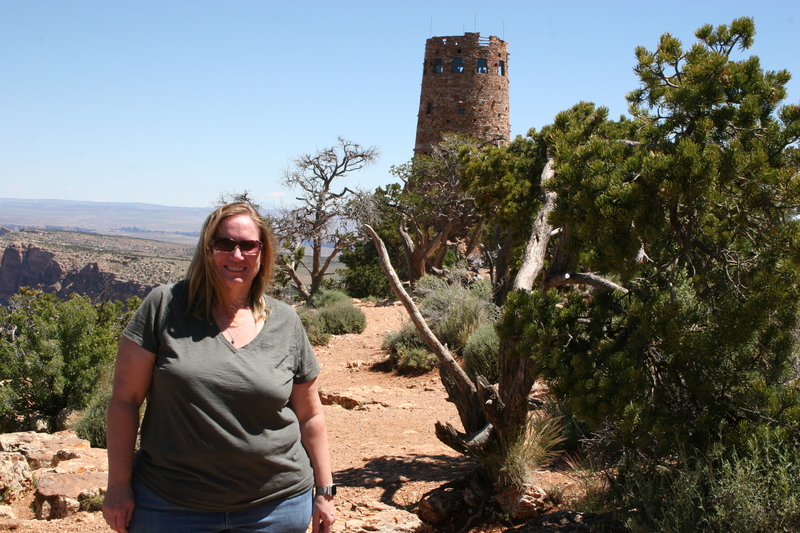 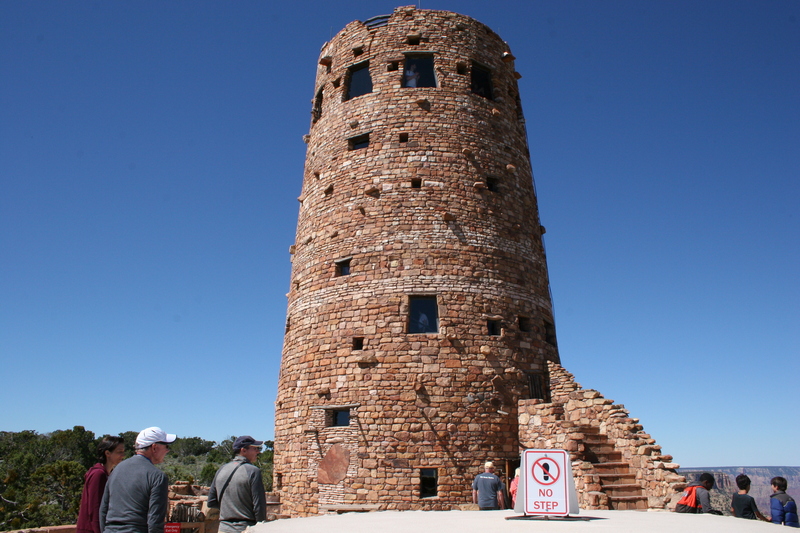 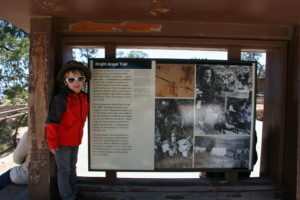 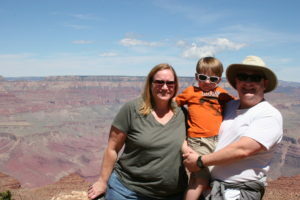 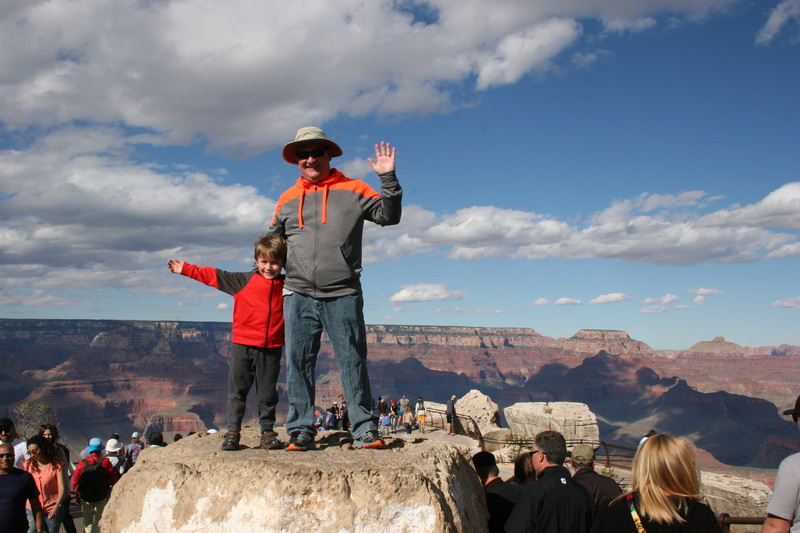 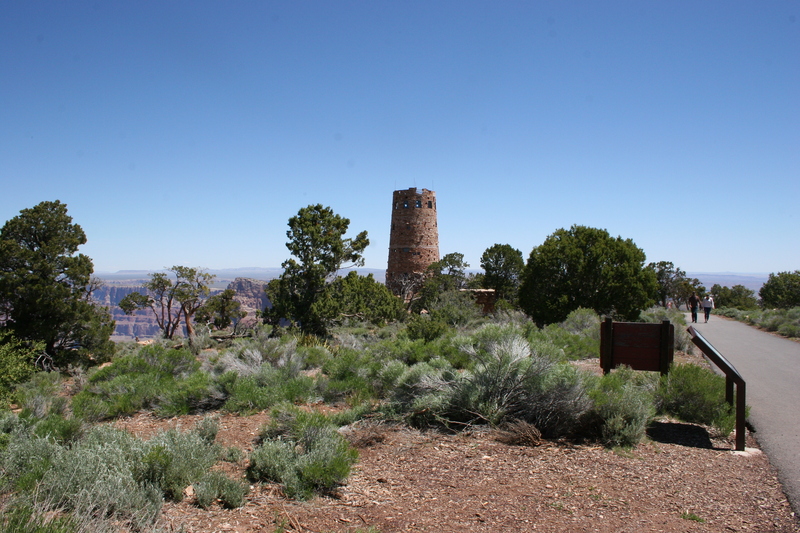 When we arrived, we made our way to the Visitor’s Center, the center point of the south rim. 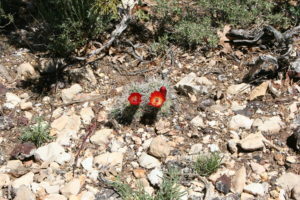 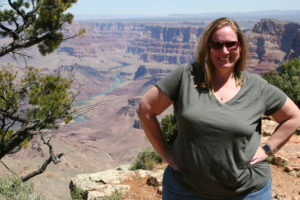 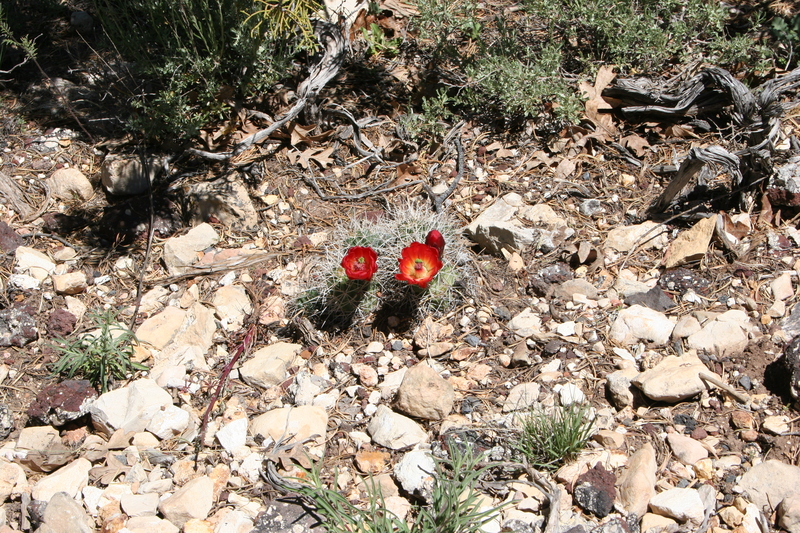 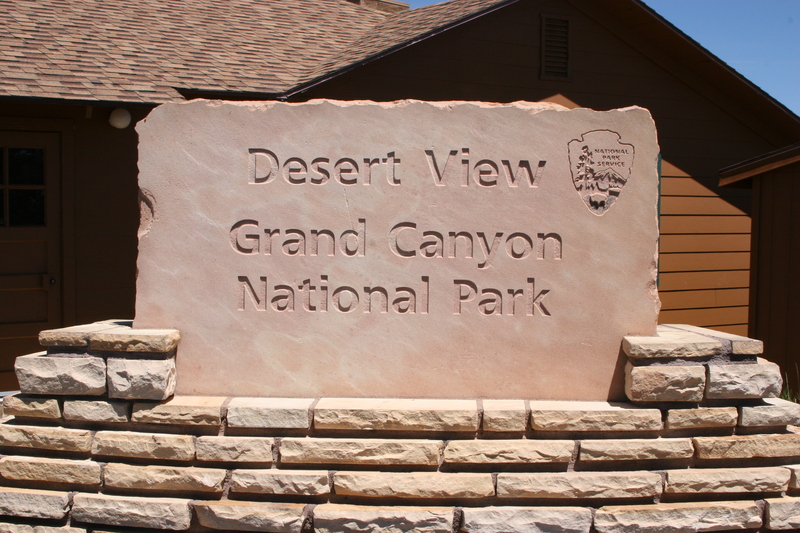 There are trails that extend east and west from the Visitor’s Center and offer different views of the canyon. 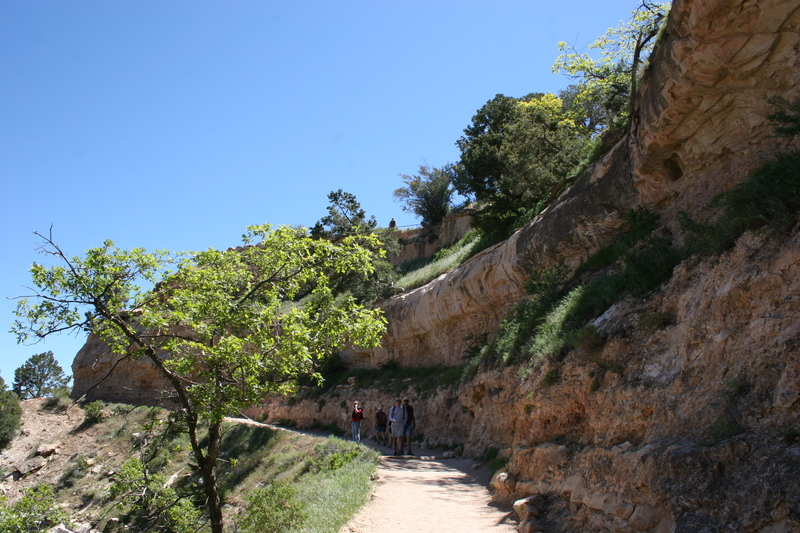 West of the Visitor’s Center is Bright Angel Trail where hikers can descend all the way to the Colorado River. 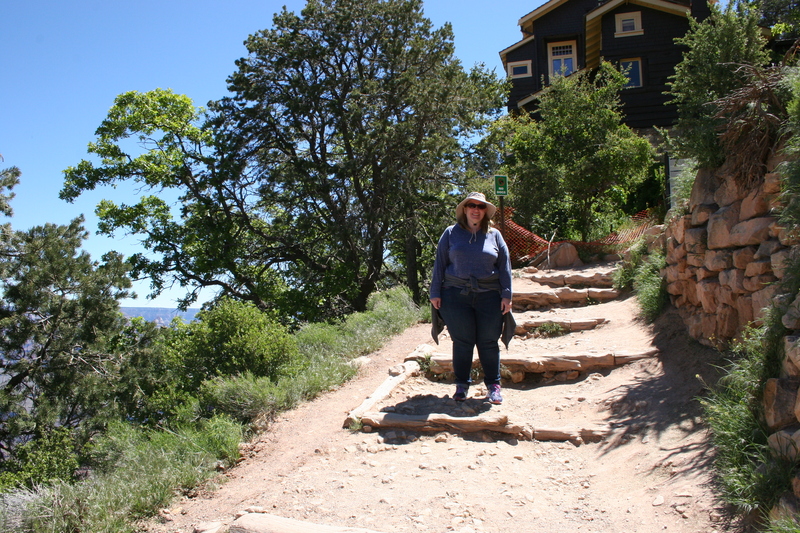 Fortunately, the upper sections are a fairly easy hike. 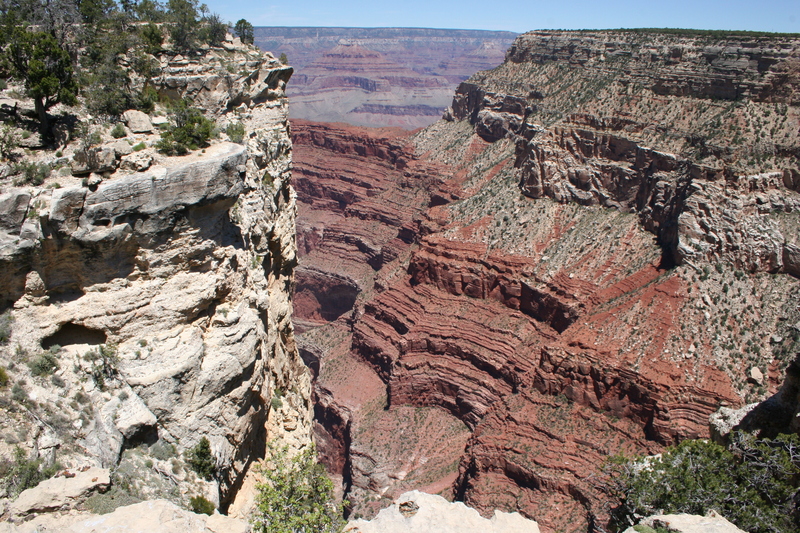 But watch out, there are not hand rails or fences between you and the edge! 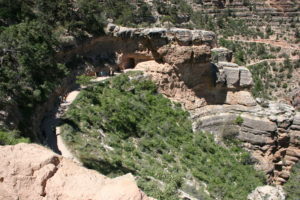 On the road into Grand Canyon National Park is the town of Tusayan. 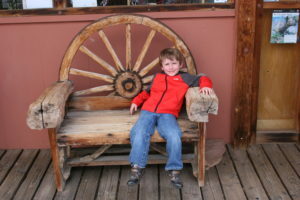 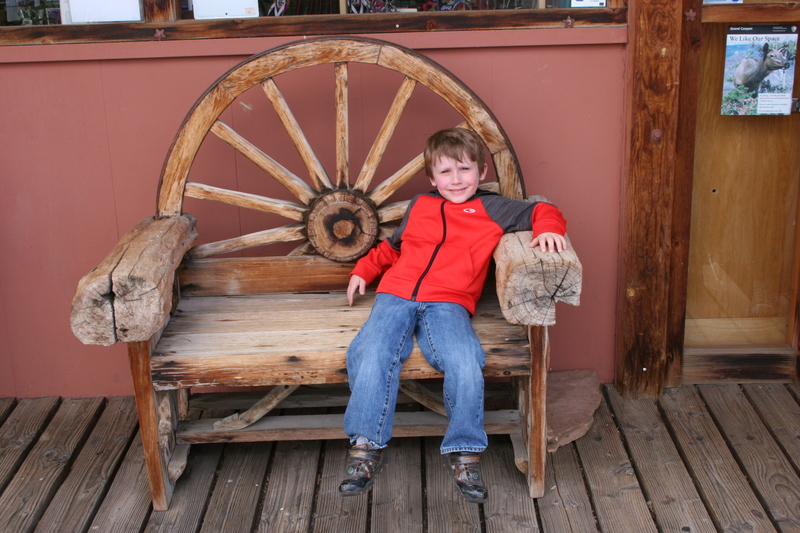 There are hotels, restaurants, gift shops and campgrounds. 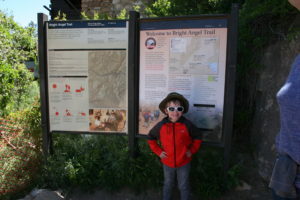 There is even a small airport where helicopter tours leave from. We just got one picture here at a sandwich shop we ate lunch and we didn’t stay very long. 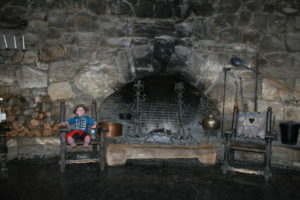 We just weren’t in the mood for spending an entire day on a tour. 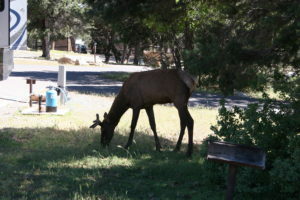 Elk are everywhere at the Grand Canyon. As with any wild animal, it is NOT a good idea to approach them. 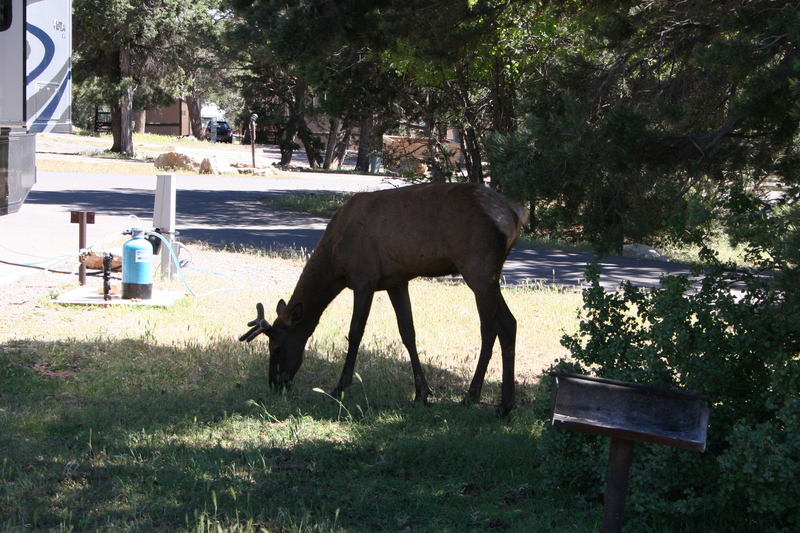 It is pretty cool, however when they just stroll through the campground and pose for pictures. At the extreme east end of the South Rim is Desert View. Since we didn’t have a car and none of the buses went out this far, we hired a cab to take us there. It was pretty expensive, but as you can see, it was well worth it. 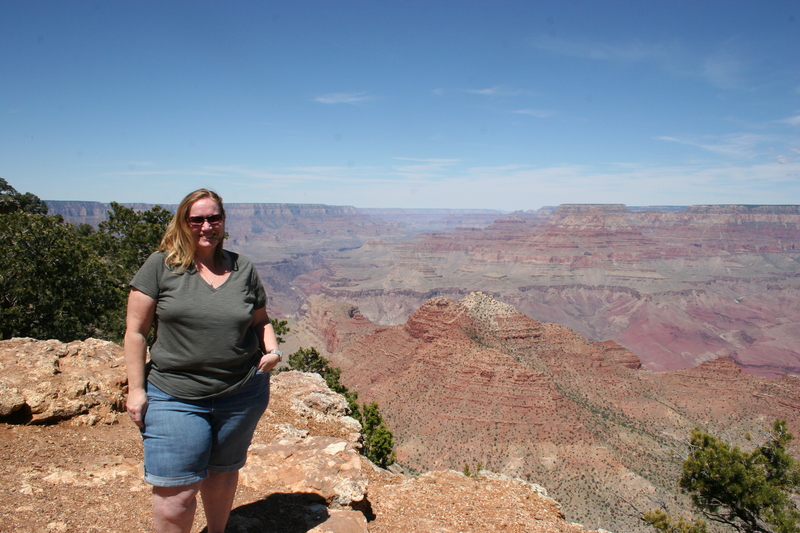 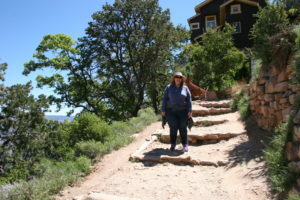 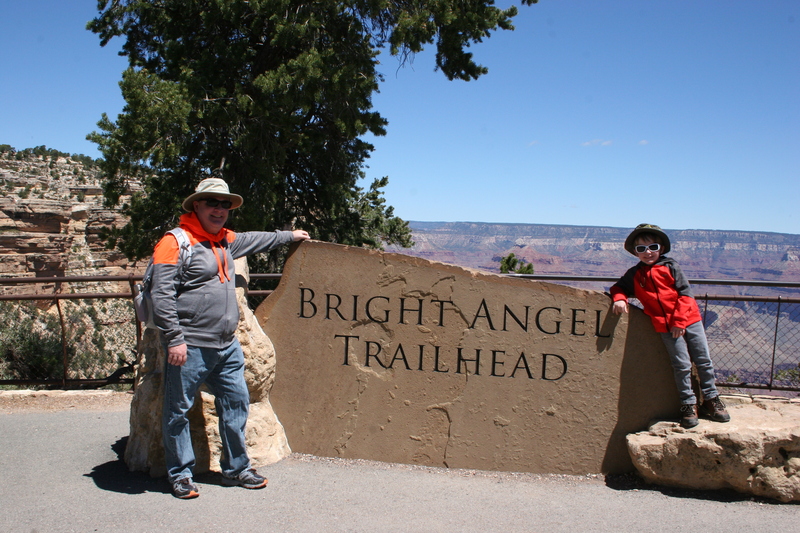 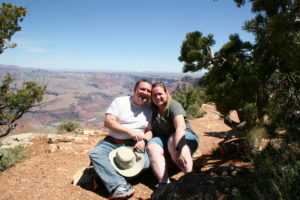 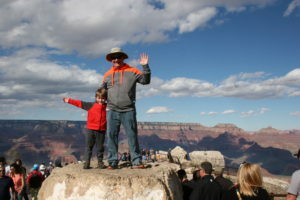 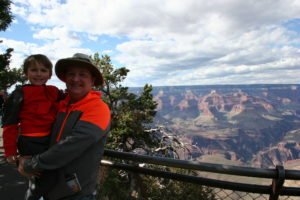 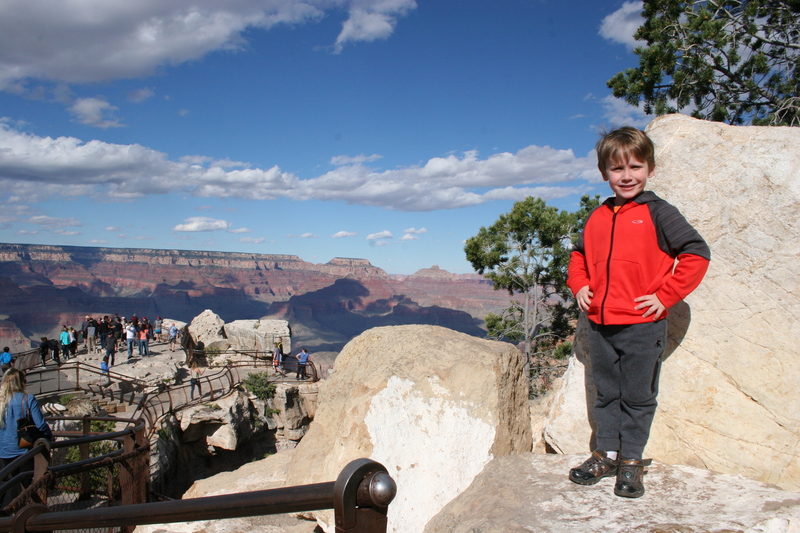 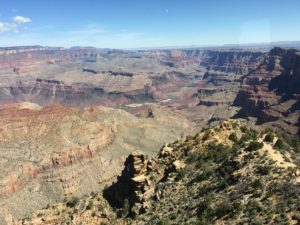 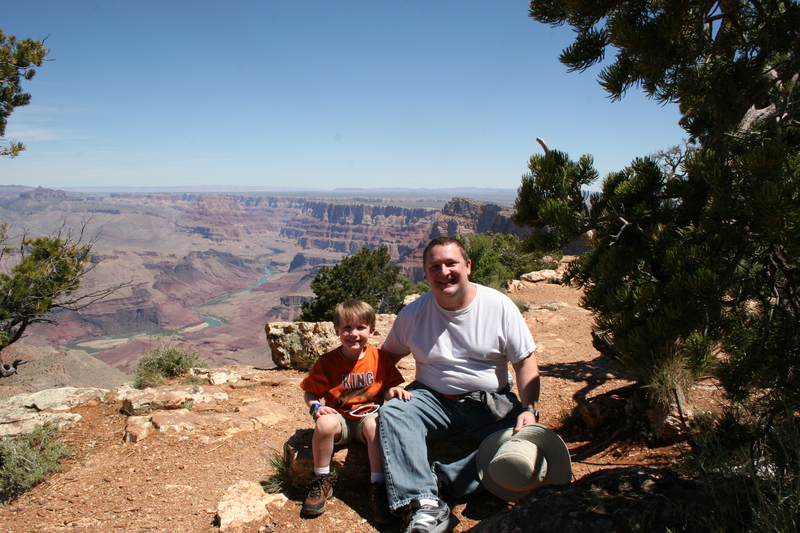 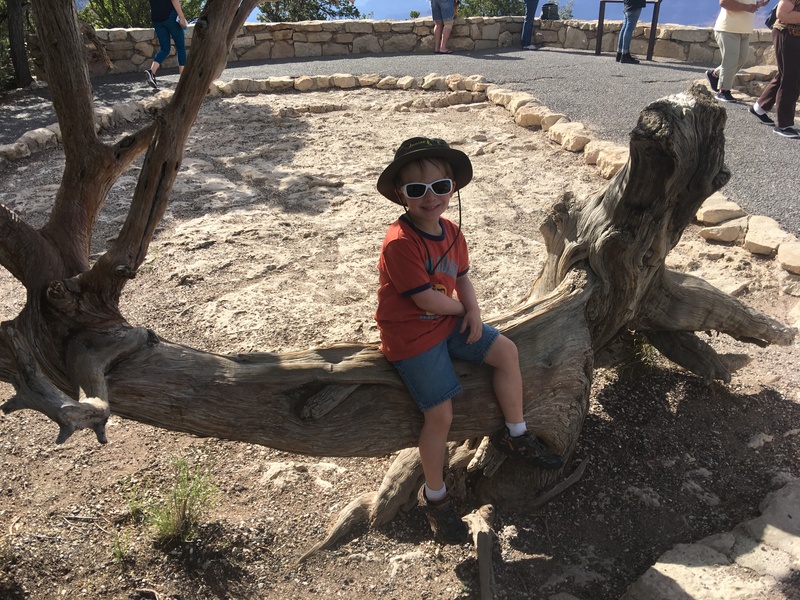 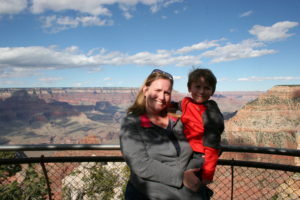 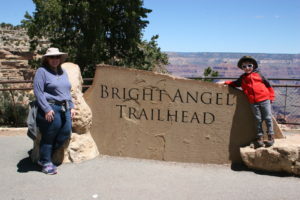 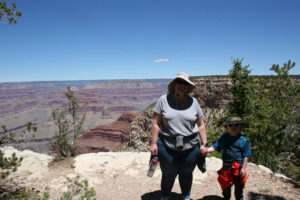 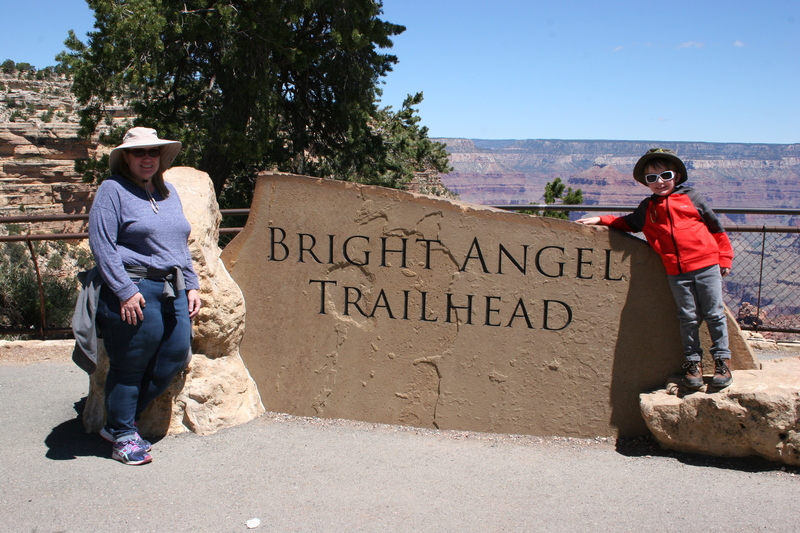 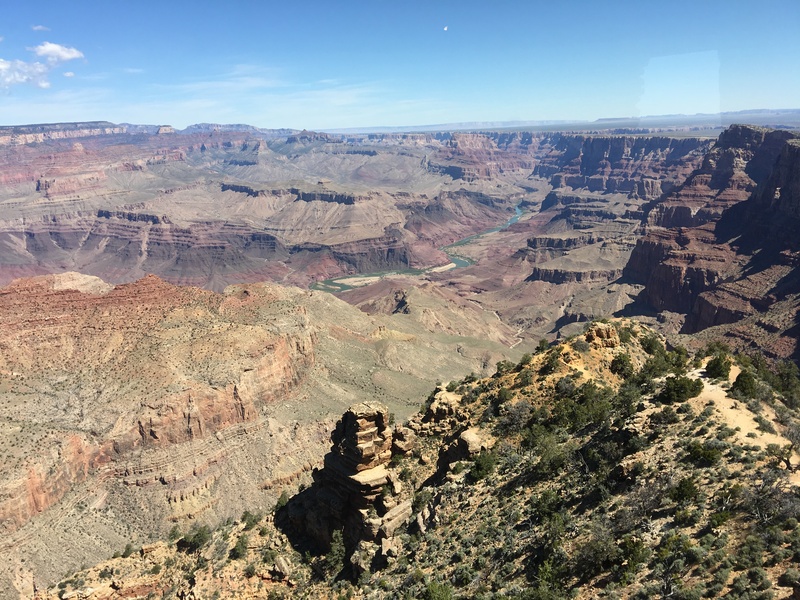 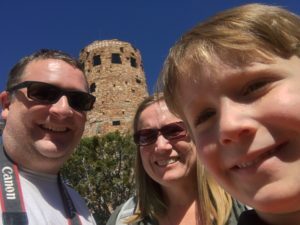 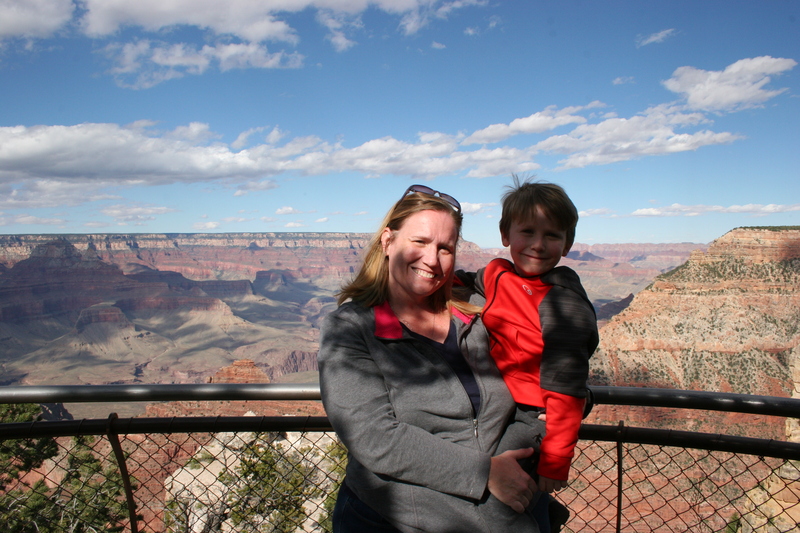 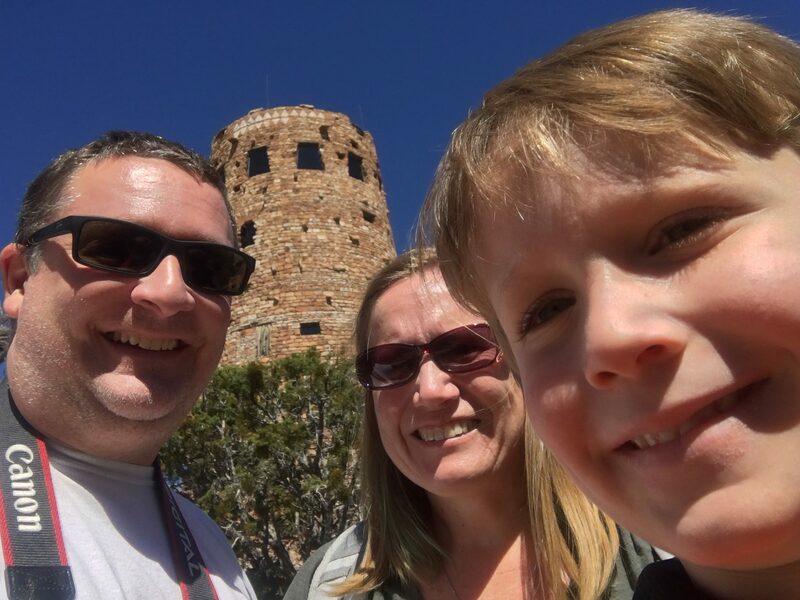 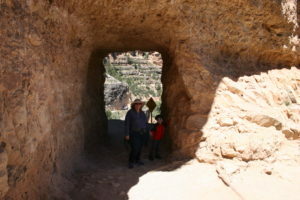 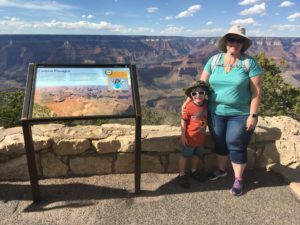 We took a bus to Bright Angel Trail head and decided to go further west. We got on another bus and got off at The Abyss. We hiked from The Abyss to Monument Creek Vista, which is about 1.0 mile. 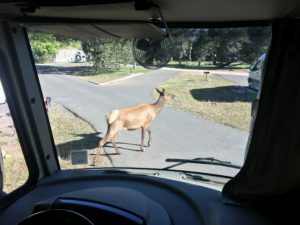 It was pretty isolated out there with only a bus coming by every 10-15 minutes or so. Good thing we brought plenty of water. 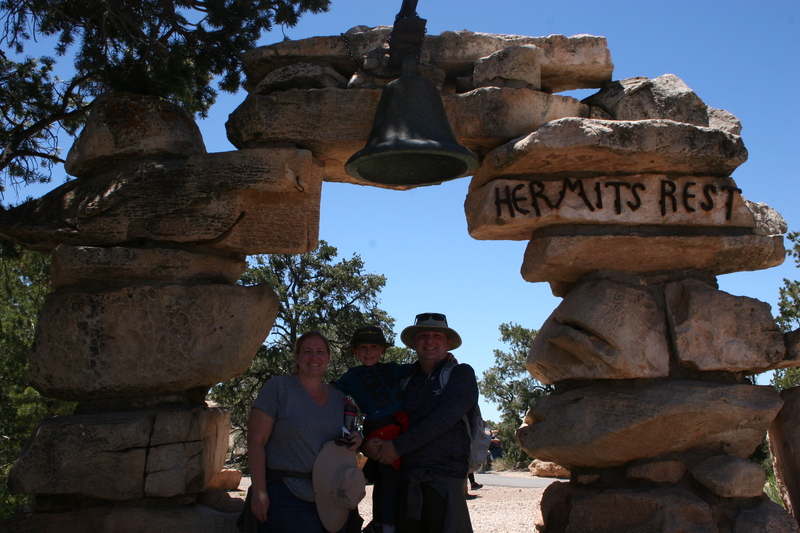 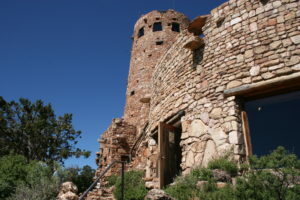 At the extreme western end of the South Rim is Hermit’s Rest. 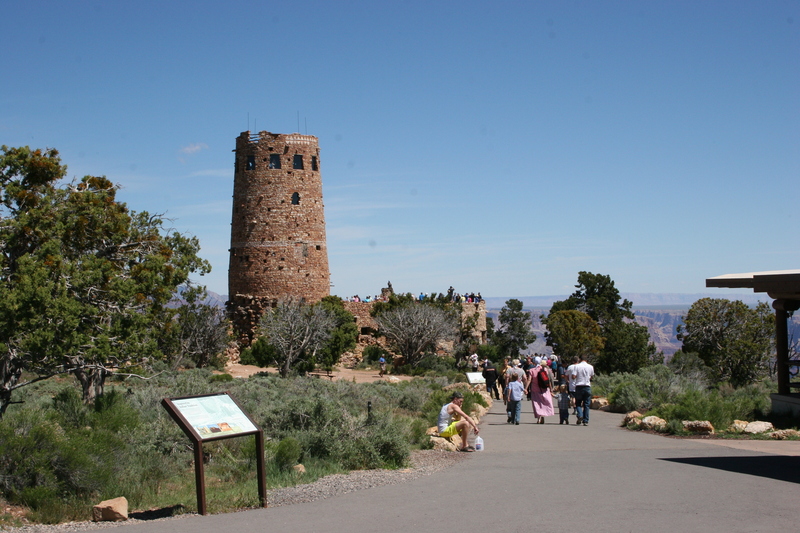 Great views, snacks and a gift shop highlight this area. 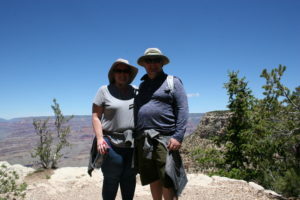 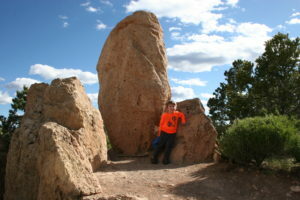 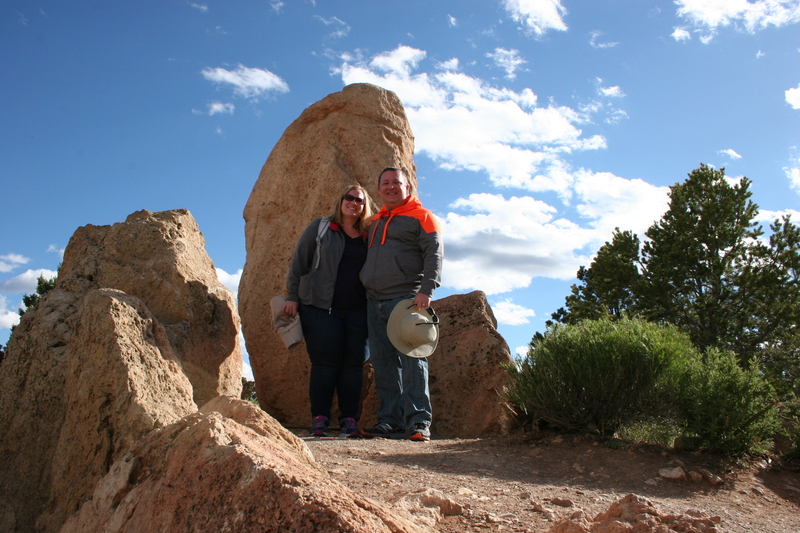 On our last day, we decided to make our way to Yaki Point, which is east of the Visitor’s Center.